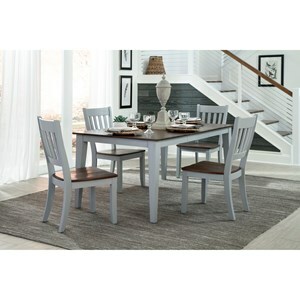 This timeless dining centerpiece gets a modern revamp from its dusky, distressed wood finish, making it a perfect centerpiece for casual dining. The table is 60 inches, allowing you to seat six* people comfortably. Side chairs are shown in white, teal, grey, and orange fabric. 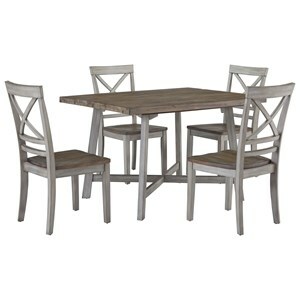 The Trenton Casual Five Piece Dining Set with Round Table by VFM Signature at Virginia Furniture Market in the Rocky Mount, Roanoke, Lynchburg, Christiansburg, Blacksburg, Virginia area. Product availability may vary. Contact us for the most current availability on this product. 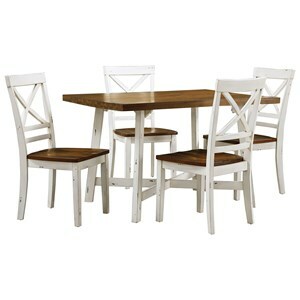 Build a fresh, modern dining set that showcases your own personal touch with this unique collection. An array of versatile styling options are available. The signature Parson's chair can look casual, modern, or classic with distinct details and several different color options. 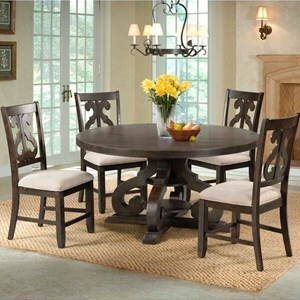 For your dining room centerpiece, choose a 78" rectangular, 64" rectangular, or round pedestal table in a relaxed dusty oak finish. 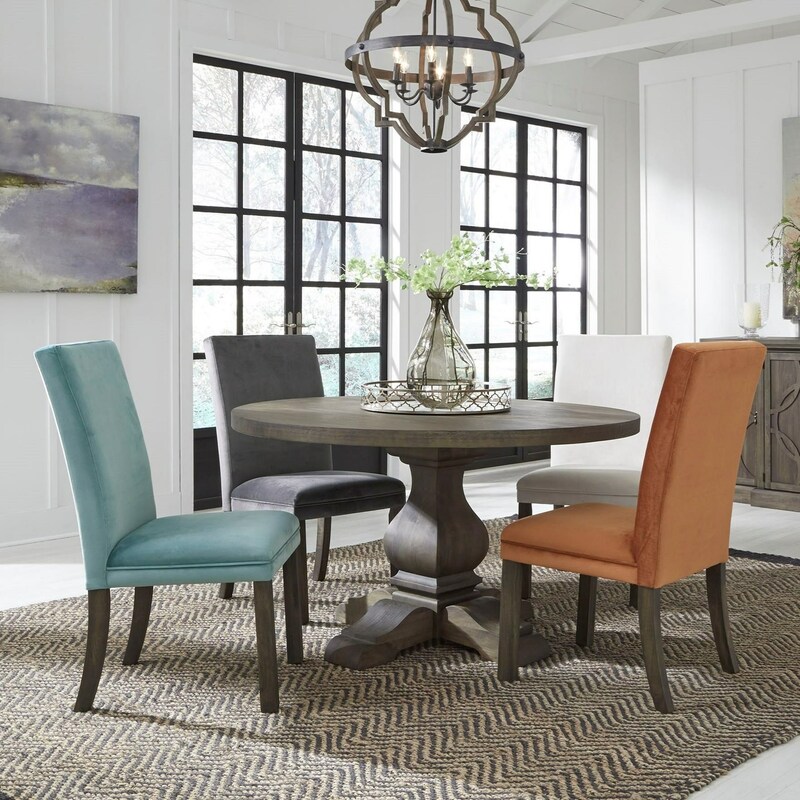 Personalize your dining space with styling and seating that works for your family with this vibrant collection. The Trenton collection is a great option if you are looking for Casual furniture in the Rocky Mount, Roanoke, Lynchburg, Christiansburg, Blacksburg, Virginia area. 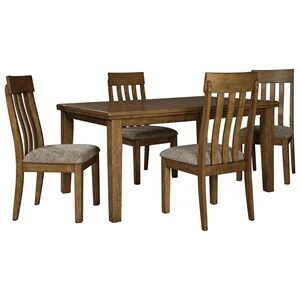 Browse other items in the Trenton collection from Virginia Furniture Market in the Rocky Mount, Roanoke, Lynchburg, Christiansburg, Blacksburg, Virginia area.